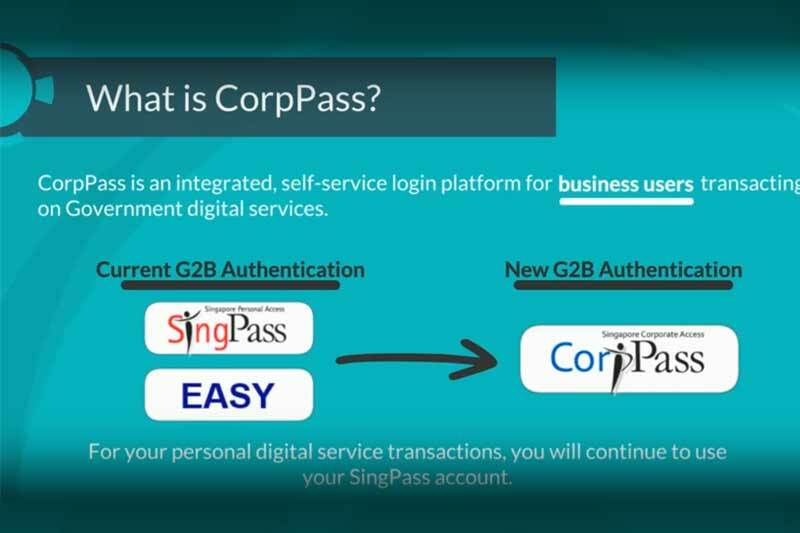 CorpPass is a corporate digital identity for businesses and other entities (e.g. non-profit organisations and associations) to transact online with Government agencies. In addition to the existing suite of more than 130 digital services managed by around 50 Government agencies, businesses can transact with IRAS using CorpPass by Q3 2018.
services. Local Entities without UEN will continue to use SingPass as a login method. registered for and started using CorpPass. therefore better protect information of both businesses and employees. have a simpler process to deactivate accounts when employees leave. online resources (Step-by-step user guides/ self-help videos/ FAQs) on www.corppass.gov.sg.